If reading the phrase “reflective practice” makes you roll your eyes, Kay Hamblin and Lindsay Brazil urge you to think again – and consider it an essential part of any learning culture. Kate Tunley, in the final part of this article – part one having been written by Gerard McLaughlan (VT48.37) – recounts case presentations where such techniques were used. Justine Lee has gone from C-grade student to veterinary surgeon and online education trailblazer. She spoke to Holly Kernot about her own work-life balance experiences and how she is helping others. Veterinary Times talks to RCVS equine specialist Jonathan Anderson on how he has directed his professional career in surgery, advice for vets and areas still to be developed. Morven Ferrigan discusses how humans and wild animals in this African country coexist. Regular Veterinary Times contributor David Beeston – a first opinion small animal general practitioner, who documented his transition from student to new grad through his monthly column, Grad Expectations – now shares his experiences as a no-longer-new-but-recent graduate. Stewart Bedford reports on his visit to the Olive Ridley Project and the work it does to help injured turtles living near the islands. Jack Reece details a case where a male camel presented with this complaint and how it was solved. If you are considering a stint as an expert witness in court, good training is recommended. Peter Edmondson discusses an annual conference on the subject in London. 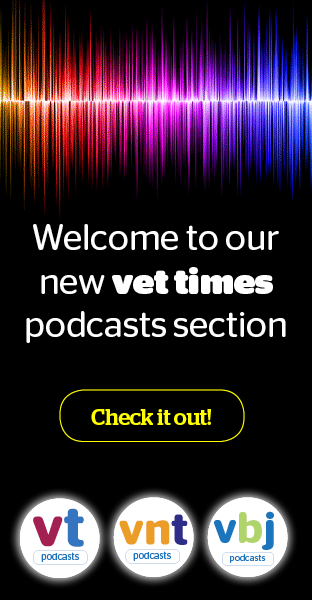 Vets: Stay, Go, Diversify launched its own live event in London in 2018 and capped the year with a Vet Futures award. Founder Ebony Escalona explains the group's background and future mission. William Peel, product manager at TVM UK, discusses the career choices he made in switching from clinical practice to an animal health role – and offers advice to others. Ahead of the 11th staging, vet Carolyne Crowe, performance coach and resilience and leadership trainer for VDS Training, discusses the ski and CPD event’s 10th. Anyone considering nominating a colleague or team for the Ceva Animal Welfare Awards 2019 – presented on the eve of BSAVA Congress – has until 25 January. Writing ahead of the crucial House of Commons vote, in a comment piece Olivia Bridge – content writer and political correspondent at the Immigration Advice Service – looks at some of Brexit’s potential implications for the veterinary sector. The term is now in the dictionary, and vet Ben Simpson argues the gig economy is alive and well in today’s profession. But is that a good or bad thing? Chanticleer looks at some of the areas of uncertainty affecting the profession and wider world. They can be rewarding, but internships require a considerable investment of time, as well as strength. Tessa Cornell looks at what to think about ahead of choosing an internship. Roger Evans discusses his love for hares, and his disappointment at not seeing them around his land anymore. Richard Allport looks back as a green recent graduate at Christmas attempting to relieve a boxer dog’s inability to pass water. In a powerful piece based on his presentation at this month’s London Vet Show, Dave Nicol explains how we can reengage and support the profession’s future baton carriers.